When Windows 8 Pro was released to TechNet and MSDN subscribers, I could barely endure the wait for Dreamspark Premium access a week later. I’ve been rocking Windows 8 for about a week now, and it’s awesome, sleek and super fast. Still though, there are still things getting used to. One thing is the new auto correct integration. From other browsers, I was used to simply right click on text fields and select my preferred proofing language. IE10 doesn’t really have that. Instead, you can right click on any marked spelling mistake, click ‘Manage Languages’ and be forwarded to the system’s Language Control Panel. 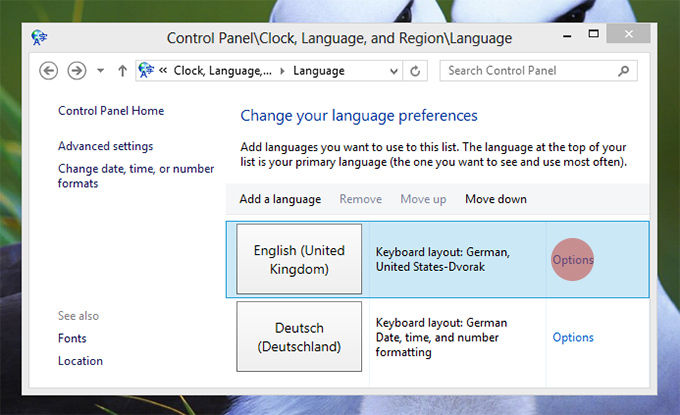 There, you can add languages and switch between them as with the keyboard shortcut Windows Key+Space. Downside of this: the keyboard layout of that language is also carried over. It’s no fun to write on a British QUERTY keyboard when used to German QUERTZ. Reversely, writing English with German autocorrect just ended in grammatical chaos. 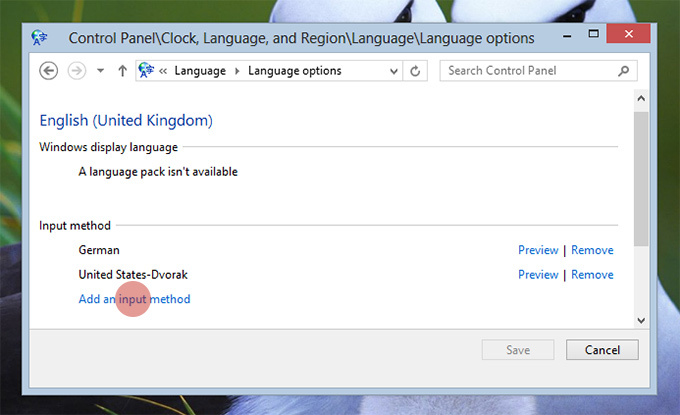 The catch in Windows 8 is that the language shortcode in the taskbar changed its meaning. In all previous Windows versions, it told you which keyboard layout is currently active. In Windows 8 that does no longer hold true. Instead, it is you who tells Windows what language you are writing your texts in – and by that language, Windows 8 is spell checking your writing. Go to options to change keyboard layouts. For proofing language English (United Kingdom), I activated German and Dvorak layouts. Click on ‘Add Input’, to find a huge list of all kinds of keyboard layouts and choose your preferences. Now you can quickly switch between all set combinations of your input languages and keyboard layouts by pressing Win+Space. In my opinion, this is a great example to see how many improvements and what attention to detail Microsoft gave to Windows 8. It is a user-centric approach, as opposed to being dictated by the PC how you are supposed to type. Where it is falling short though, is that these changes and settings are very unknown and I had quite a rough time fiddling these things out myself. In this day and age, you could expect Windows to be smart enough to recognize the language, your preferred keyboard layout and suggest these settings to you automatically.